Happy Litha! The feverfew is blooming under the new moon. It’s been cold and rainy here. Cold is relative. Two months ago I thought 50 degree evenings were crazy warm. It’s always seemed odd to me, a native Minnesotan, that Midsummer comes when it does. Pretty much this marks the beginning of our genuinely hot season. Karina’s birthday is at the beginning of June and we couldn’t plan her preferred pool party unless we delayed it or held it indoors. Cool isn’t unusual. Because of everyone’s crazy schedule we’re still delaying her birthday. We managed to all get together this weekend. Karina and I have a deal. I take her out to a high-end dinner for her birthday and she does the same for me. Happy birthday Karina! Huge deserts and the leftover bags. This year she chose Pittsburgh Blue, a chain steakhouse. It was surprisingly good. The steaks were done to perfection and the seafood we had was also very tasty. Orion and I also stopped by Gilda’s Club for Friends and Family Day. We’ve been doing this as an annual event, being sure to get our photos taken. Looking at those pictures I note I have a jacket or sweater on in most of them. Orion brought his drum and we enjoyed a drumming workshop along with visiting. Hoof on the Roof, a folk band, joined us as we finished up drumming. It was a treat to jam with them. In spite of the cold things are starting to bloom in the garden. I got behind so I still have a few things to plant. I’ve been worried that I’ll lose everything when we start tearing things up to get the remodel going, but I’m afraid we are stalled again. I really don’t want to wait for another year! I miss having a fully functional kitchen. There are things I’ve been putting off (like a new microwave) in anticipation of getting this all taken care of. It’s frustrating. Fourth of July is coming up fast and furiously. I’ll probably be off-line, so don’t worry if you don’t see a Monday blog next week. I will try to remember to take some photos. Maybe parades and fireworks will fill my page. Maybe flowers and wildlife will inspire me. Maybe I’ll remember to take pictures of the family. Fingers are crossed for a fun filled, good weather, holiday. Midsummer – apparently I’m not very creative with titles at this time of year! Charleston – I haven’t posted about Philandro Castile. It’s too close to home, too horrible, and I’m not the one. But I will say Black Lives Matter, because they should and it’s pretty clear that they don’t. I will say it’s important to remember. What a difference a year makes! Last year at this time I was just starting out as a volunteer at the newly opened Gilda’s Club Twin Cities. I was blogging about my to-do list as I prepared for surgery. 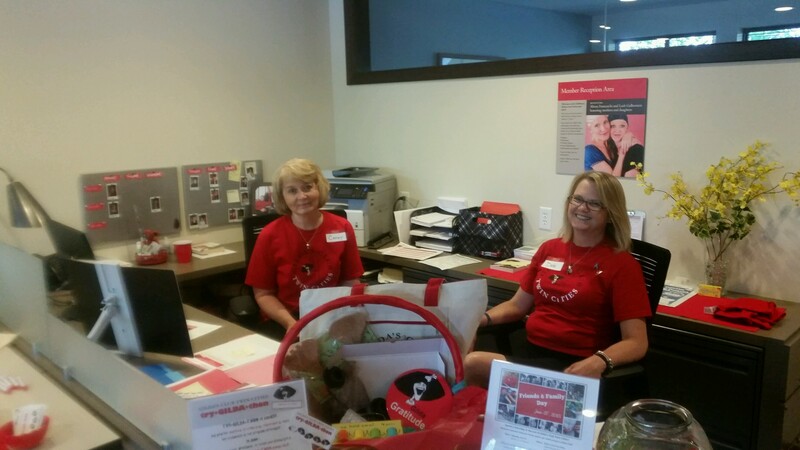 This is where the Gilda Greeters sit welcoming folks into the clubhouse. It’s a perfect volunteer spot for me! 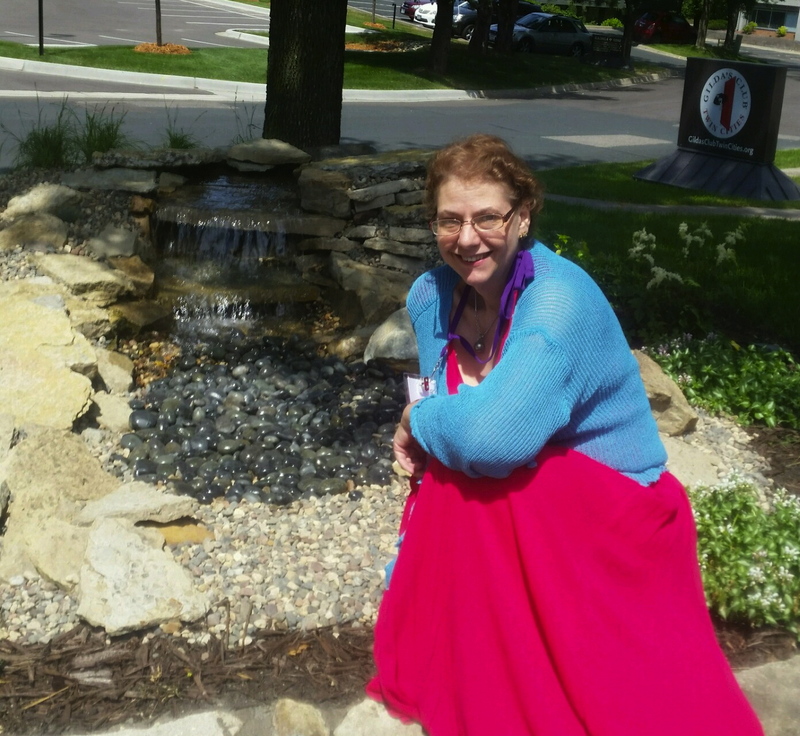 Gilda’s Club, dedicated to the memory of Gilda Radner, is a welcoming community of support for anyone living with cancer, along with their families and friends. It’s a place where everyone is welcome, where no one faces cancer alone. This year when we went to the Gilda’s Club Friends and Family Birthday celebration I participated in most of the events. Orion and I met some new friends, visited with old friends and enjoyed the Clubhouse atmosphere. I spent much of the day on my feet, and didn’t think anything of it. 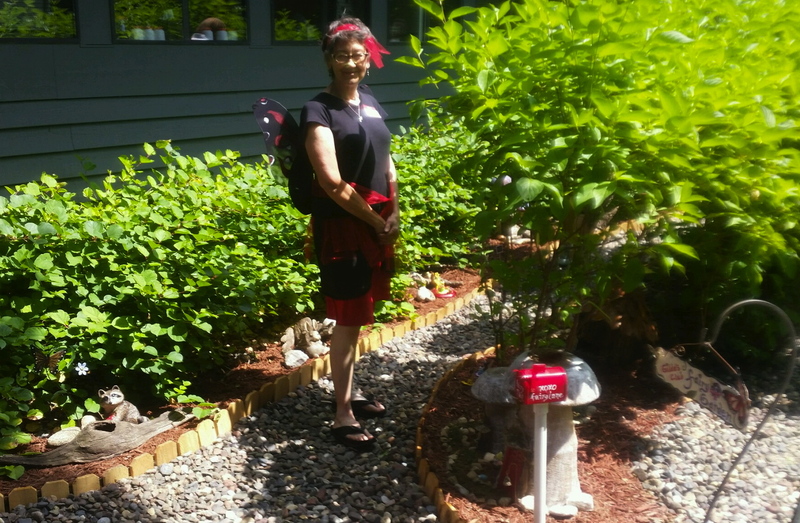 Our “Gilda Fairy” maintains the fairy garden where members can send notes to those who have passed. The Clubhouse is really settling into itself. 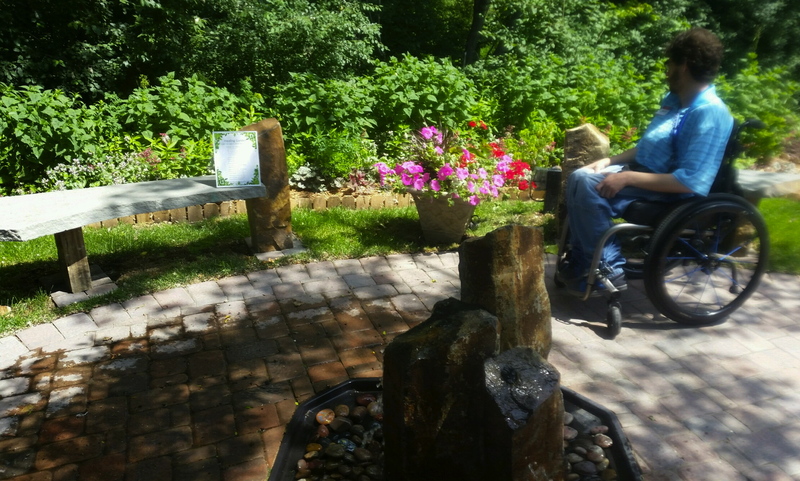 The gardens continue to expand, making lovely healing and meditative spots to just sit and enjoy the sunshine. There is the fairy garden, the new waterfall and picnic area (the first photo was taken there) and the healing fountain and gardens. 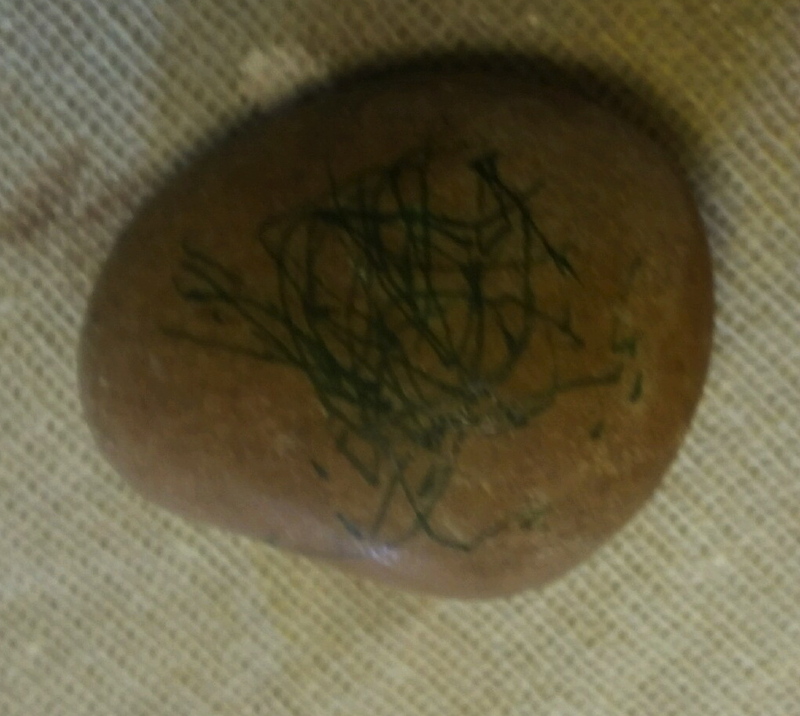 Last year the healing fountain was dedicated and Orion and I made stones for people we knew who had dealt with cancer. He made one for my Mom and I made some for friends I’ve lost to this pervasive disease. This year, unfortunately, there were more stones. Orion made one for me! 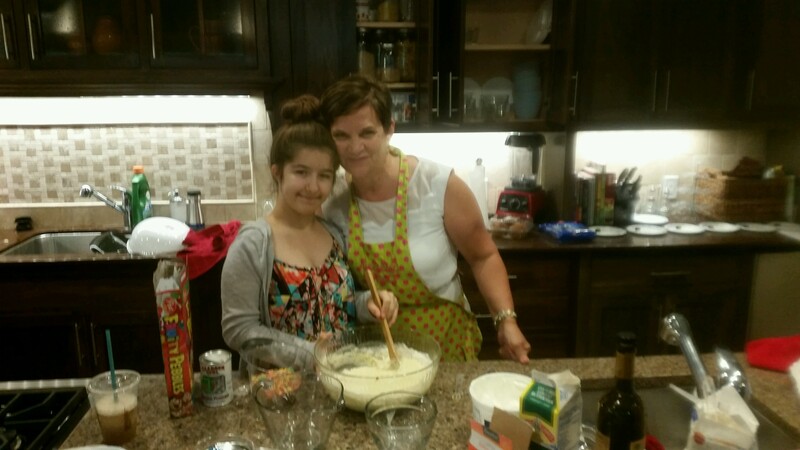 Our helpers in the kitchen often bring family along. Orion did this one by himself. The Expressive Arts Studio often displays projects members have created. That’s where we colored our stones for this year. It’s a great place to work out feelings through art. I’ve taken the Homemade Card Making class and had a lot of fun. There was a lot of vibrational healing going on. We got to do a gong meditation in the Mind Body Studio. 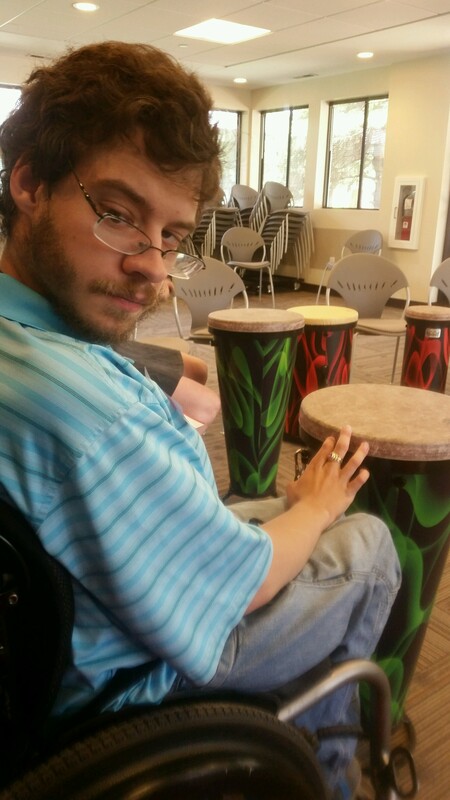 Orion and I also did some drumming in the Community Room. He’s pretty excited to show off his new rhythms the next time he gets to a drumming circle. 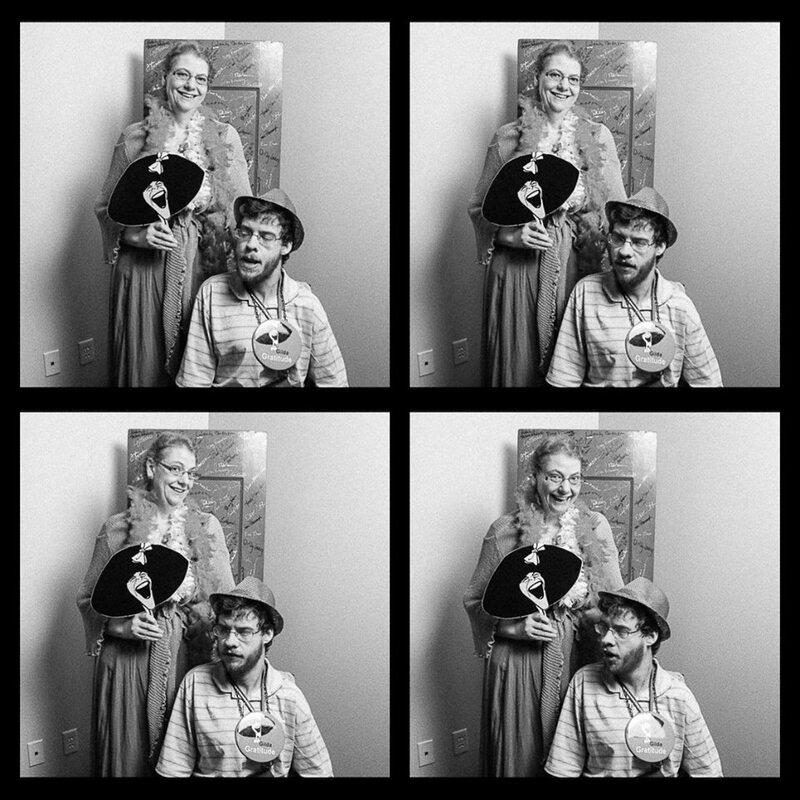 We participated in some short improvisation workshops put on by the folks from Brave New Workshop. Jenni Lilledahl, one of the owners of Brave New Workshop is also one of the founders of Gilda’s Club Twin Cities. It’s great to have their support. The workshops were a lot of fun. 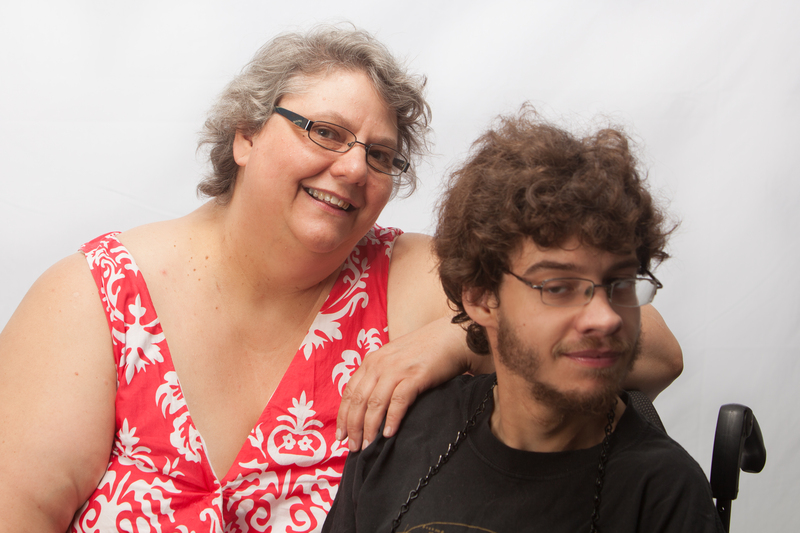 The biggest change though is when I compare the family portrait Orion and I took last year to the one we took this year. My daughter was talking to old friends, catching up. When they asked about me she told them I was genuinely happy. Maybe I am. I’m certainly grateful that so much has changed. and here we are this year. What a difference a year makes!